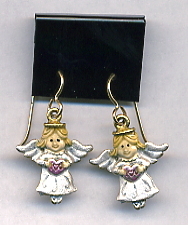 Angel earrings w/gold filled ear wires. 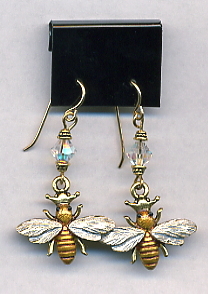 Bee earrings w/gold filled ear wires. 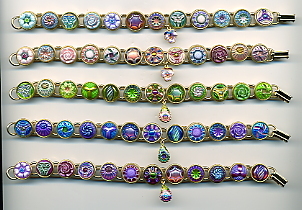 This image shows the available finishes on the bezel cups for the VIP Paperweight Buttons, the Mother of Pearl Buttons, and the Domed Picture Buttons. Remember, only the edge will actually show. You will select the finish in the drop down box under the item you wish to purchase. 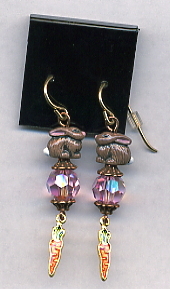 Bunny earrings w/gold filled ear wires. 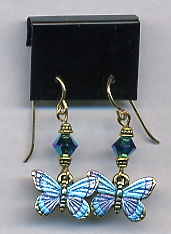 Butterfly earrings w/gold filled ear wires. 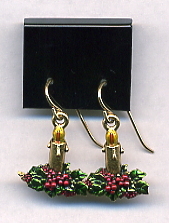 Candle earrings w/gold filled ear wires. 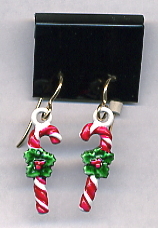 Candy Cane earrings w/gold filled ear wires. 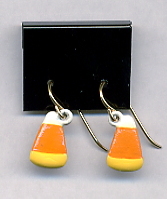 Candy Corn earrings w/gold filled ear wires. 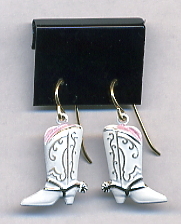 Cowboy Boot earrings with gold filled ear wires. 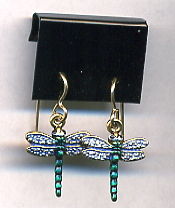 Dragonfly earrings w/gold filled ear wires. Approx: 3/4"x1+3/4". Green body with butterfly dangle. 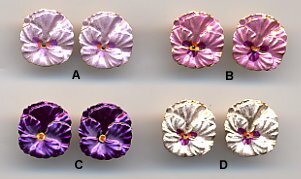 Earwires are Niobium. 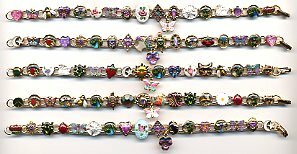 Approx: 3/4"x1+3/4". Green body with pansy dangle. 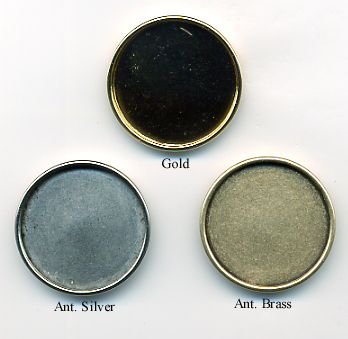 Earwires are Niobium. 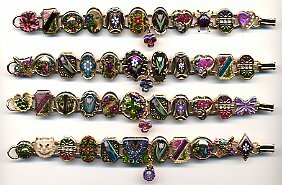 Approx: 3/4"x1+3/4". Bronze body with butterfly dangle. 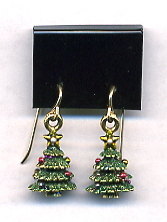 Earwires are Niobium. 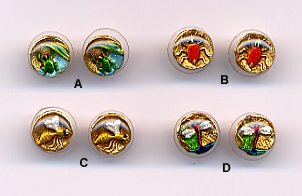 Approx: 3/4"x1+3/4". Bronze body with pansy dangle. Earwires are Niobium. This is an example only. 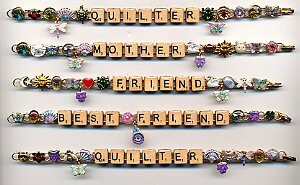 To order, go to the individual buttons in the Mother of Pearl pages and select the option you prefer in the drop down option box. 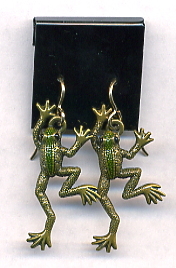 Frog earrings w/gold filled ear wires.